Dr. Emily Thibeaux became the co-pilot of Congress Animal Hospital in October 2015 when they purchased the hospital, but she has been working as one of the primary veterinarians there since 2010. Dr. Emily has enjoyed establishing a relationship with the clients, patients and employees at Congress. She has been married to her best friend, Dr. Jake Thibeaux, since the summer of 2009…the best choice she’s ever made! Dr. Emily currently works part-time. Her other days are full to the brim parenting their four beautiful children- Evangeline (6), Everett (4), Camden (2) and Bridger (1). The Thibeauxs are also proud parents of a Jack Russell, a Rat Terrier, and two very interesting cats. Emily is a native of South Louisiana. Being born and raised in New Iberia, she is proud of her Cajun roots and enjoys the hospitality and FOOD of Acadiana. 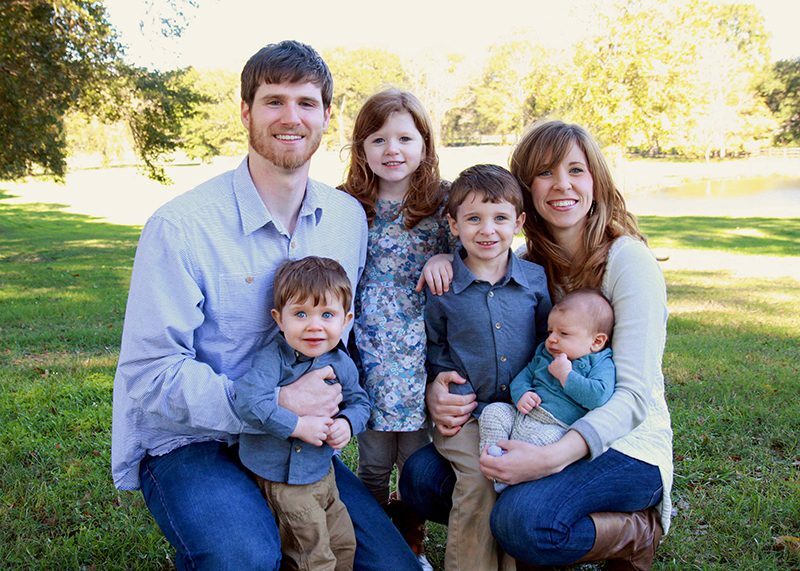 After completing high school, Emily moved to Baton Rouge and spent 7 years there completing a Bachelor’s Degree and earning her Doctorate of Veterinary Medicine. She was also lucky enough to cheer on the Tigers to 2 National Championships while there. If allowed the time to day dream, Emily will either be brain storming the next mini home remodel project, envisioning life doing service work in Africa, or salivating over the thought of a delicious meal.